Excerpts from the original Article by ANDREW GALVIN | Orange County Register published on March 31, 2011. The Mater Dei High School Choir singing at an impromptu recital at the first Benedictine Abbey of Montecasino. The standing room only crowd at a concert by the Mater Dei High School Choir at Duomo di Amalfi, a cathedral in Amalfi, Italy. There were over 900 in the audience for this concert. 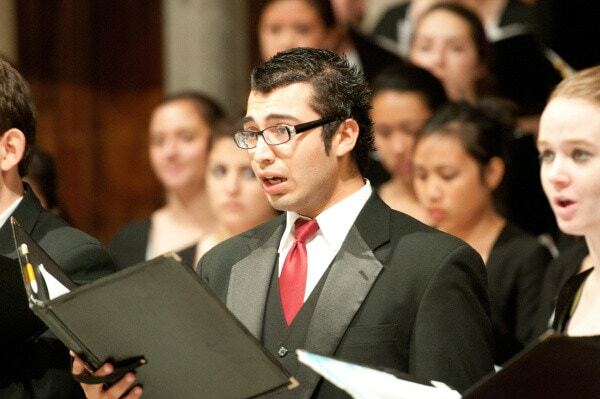 The Mater Dei High School Choir, featuring solosit Josh Paz, singing in the Duomo di Amalfi in Italy. They were accompanied on Organ by Giuseppe di Bianco. The Mater Dei High School Choir prepares to sing for Pope Benedict on Wendesday morning at St. Peter’s Square at the Vatican in Rome. Josh Paz was a little nervous as the Mater Dei High School choir waited for the Pope to arrive in St. Peter’s Square, Vatican City, on Wednesday morning. 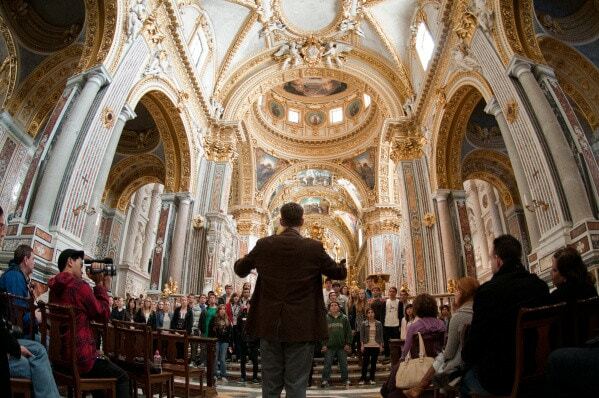 About 130 members of the choir, along with about 100 parents and eight visual-arts students, have been traveling and performing in Italy since last week. 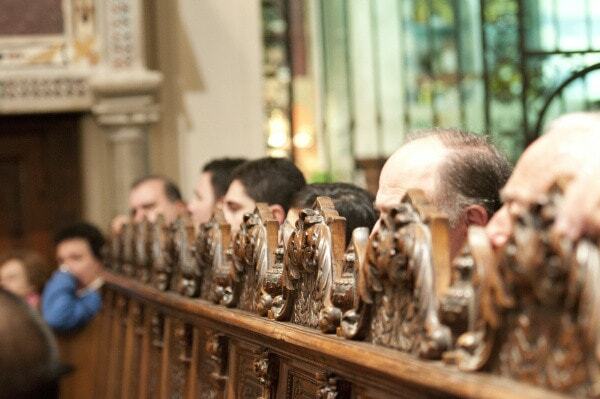 Singing at this Papal audience was to be one of the highlights of their trip. 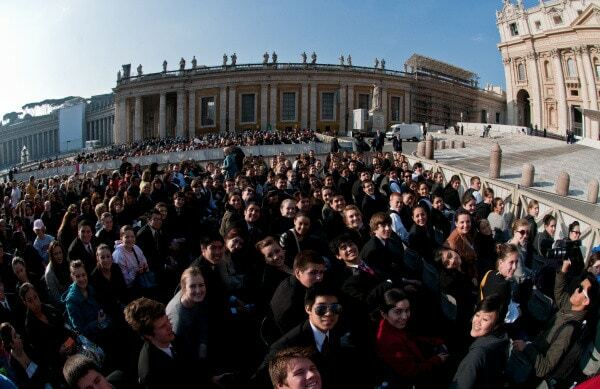 The students were rousted from their beds at 5 a.m. and most of them were ready, in tuxedos and dresses, when their bus was scheduled to leave their hotel at 6 a.m.
By 7 a.m., the group had arrived outside St. Peter’s Square, queuing up to get through security with about 20,000 other pilgrims. They took seats in the front rows, about 50 yards from where the Pope would preside on the steps of St. Peter’s Basilica. Then they waited. Some made last-minute purchases of rosaries that the Pope would bless. At about 10:30 a.m., Pope Benedict XVI arrived in his Pope-mobile, driving around the audience in the square. #livefrom the Vatican: The Mater Dei Vocal Artists performed for Pope Benedict at the Papal Audience on St. Peter’s Square – a highlight on their 2011 iNCANTATO CONCERT TOURS by iNSIDE EUROPE experience.